This is some unique and new contemporary concept in exterior house design. 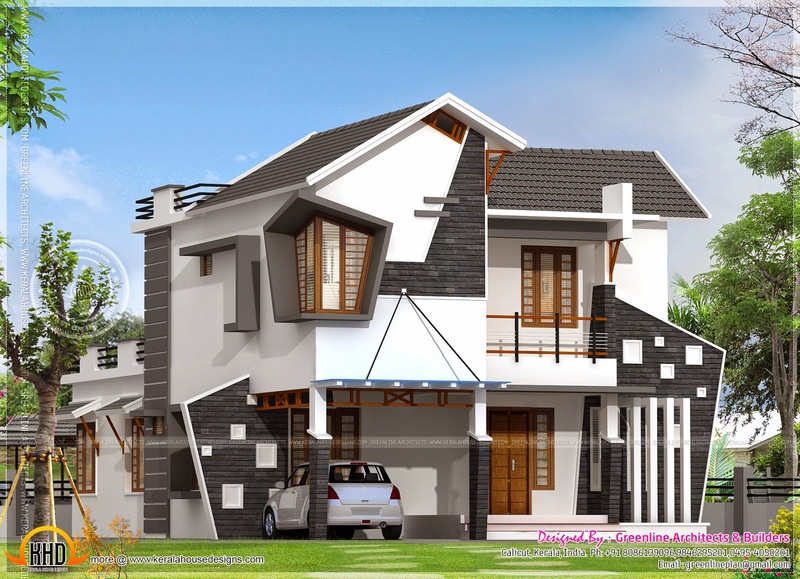 Total area of this house design in 2154 square feet (200 square meter) (239 square yards). Facilities are 4 bedroom attached, living, dining, court yard, kitchen, balcony, work area etc. Designed by Greenline Architects & Builders, Calicut, Kerala. First floor : 852 sq. ft.
Total area : 2154 sq. ft.
0 comments on "Unique house exterior in 2154 square feet"